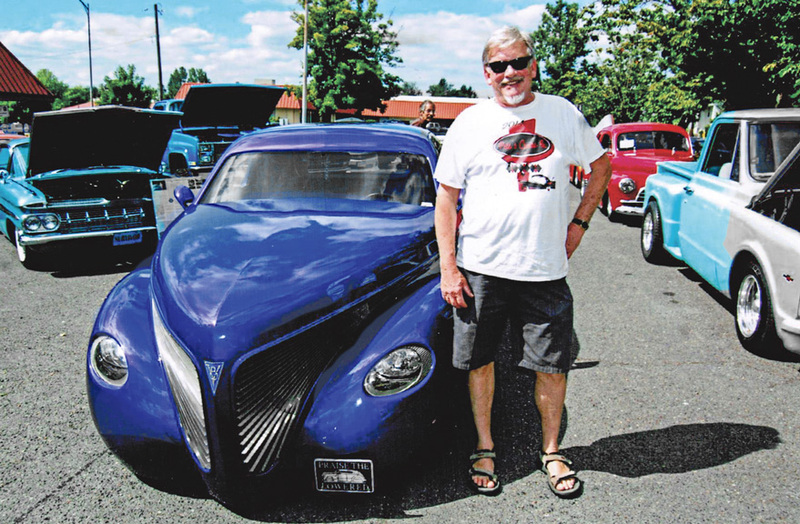 In late August Cutsforth held their annual cruise-in covering a few shady blocks around Canby Wait Park. As always, the turnout was great and the weather couldn’t have been better. Put this one on your to-do list for next year. 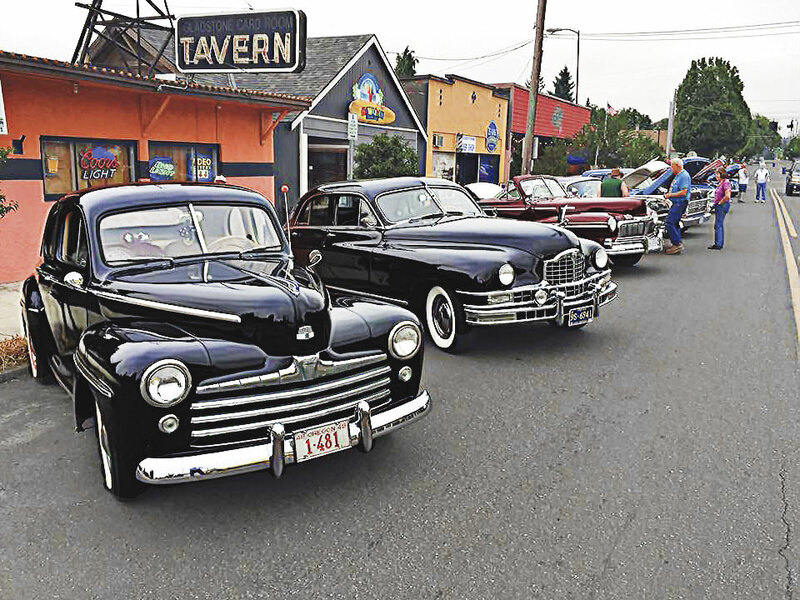 Back on August 6th the small little hamlet of Gladstone, Oregon became a supersize community hosting the 5th annual Community Festival Car Show in downtown Gladstone. 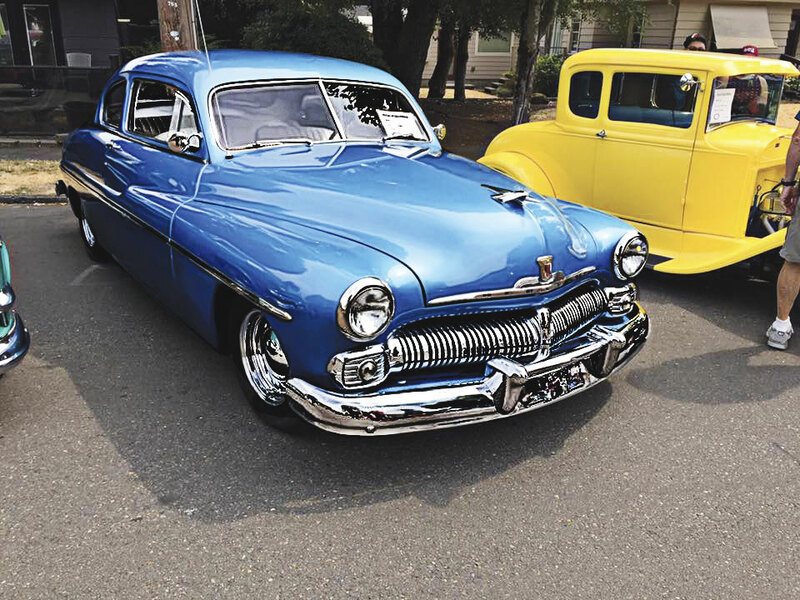 Several thousand families and guests witnessed the biggest and best car show ever in the area. 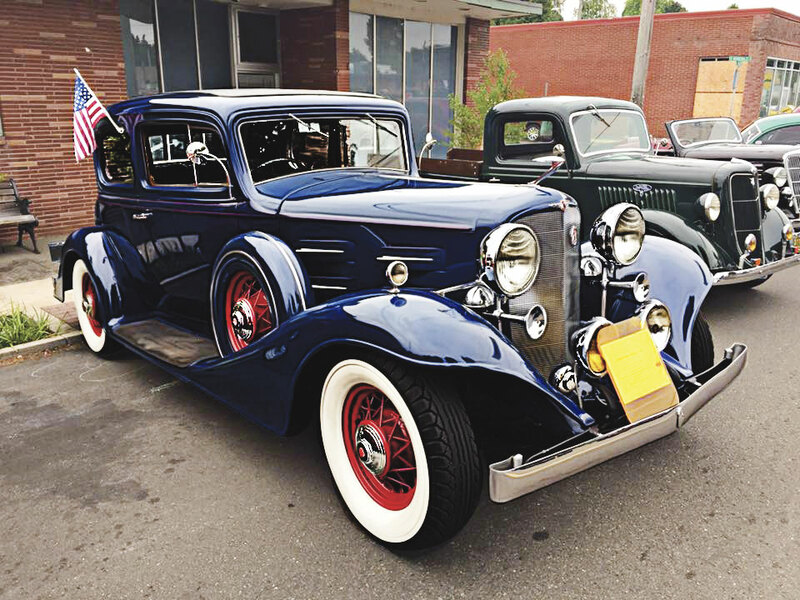 From super street rods to custom pick-ups and fancy stock cars out of yesteryear, were on display. A record of over 200 registered vehicles, turned the little city into a rainbow of colorful rides in every, size, shape, and model. 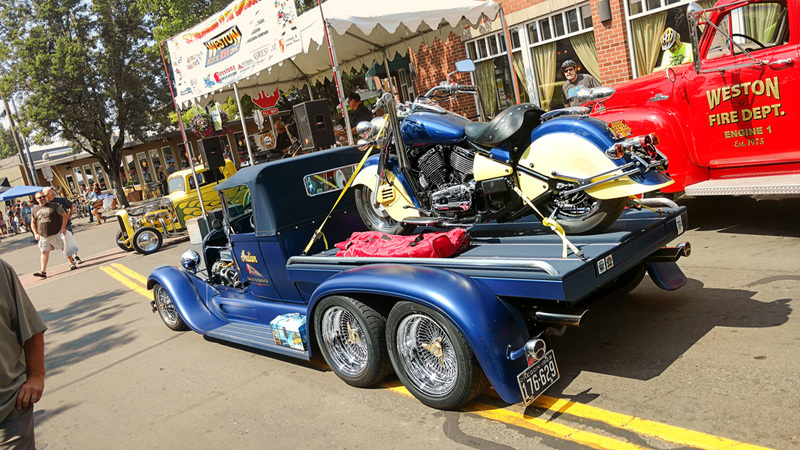 Over 85 sponsored trophies were awarded to these special dream machines including, a couple of bikes, some with engines and some with pedals. 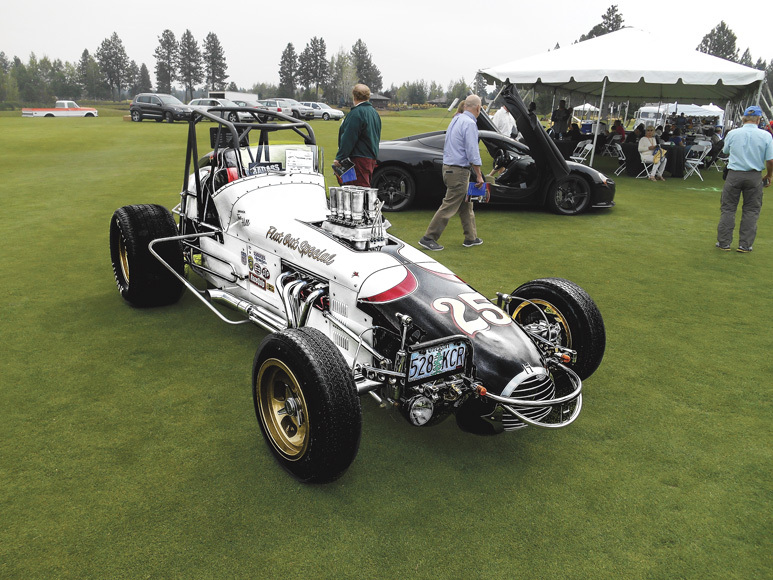 Every entry at this charitable fund-raising event, was a winner in the eyes of the car enthusiast. Half of the funds raised, twenty-five hundred dollars, was dedicated to the Gladstone Center for Children and Families. An additional 2,500 was earmarked for the Gladstone, Oak Grove Rotary to support their local community efforts. 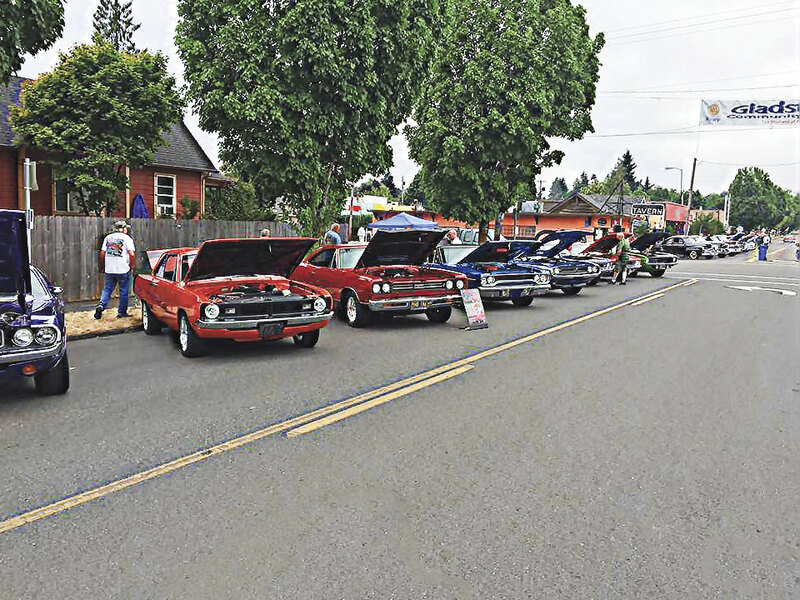 The KDCCP, Kiwanis Doernbecher Children’s Cancer Program were represented with a booth, raising funds selling raffle tickets on a brand new Ford Mustang, with 100% of the proceeds dedicated to Doernbecher and OHSU. Several hundred dollars was raised in a few hours. 14 local dedicated sponsors took part in this year’s activities. 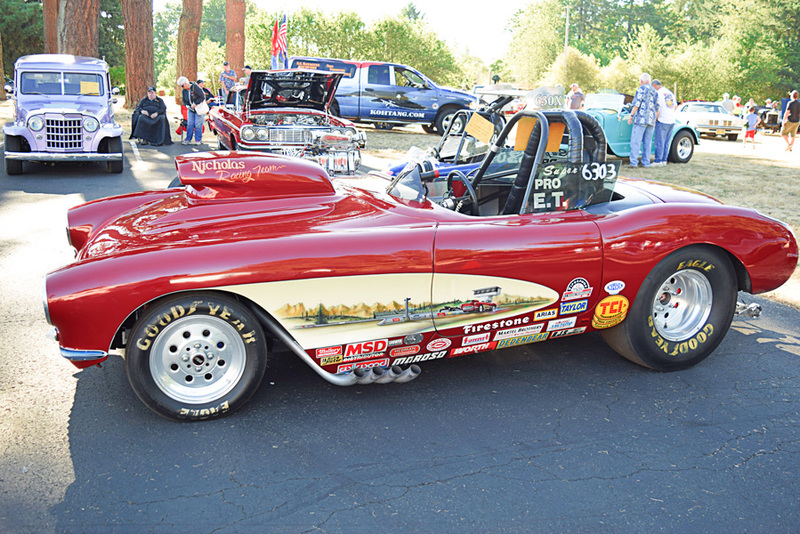 Affordable Classics, Latus Motors, Hamilton Appliance, Stanley’s Corner, Colton Auto Body, Pioneer Auto Wholesale, Gladstone Mitsubishi, Auto Town, Lot 99, Mike Patterson Plumbing, Battery Factory, Ross Upholstery, Track Auto, Auto Shop NW, and Kim Sieckman. Volunteers to run the show and award the trophies were from the Associated Fords of the Fifties Club, Affordable Classics Inc. and Kim Sieckman. A special thank you goes out to all the local sponsors and the fantastic job well done, by all the volunteers. 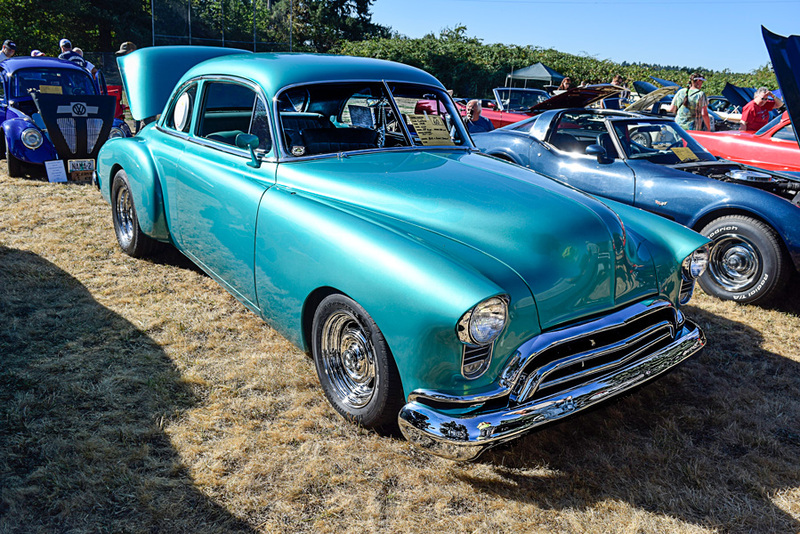 This was one of the nicest car shows ever, as witnessed by all the beautiful families that came out and enjoyed the day together. 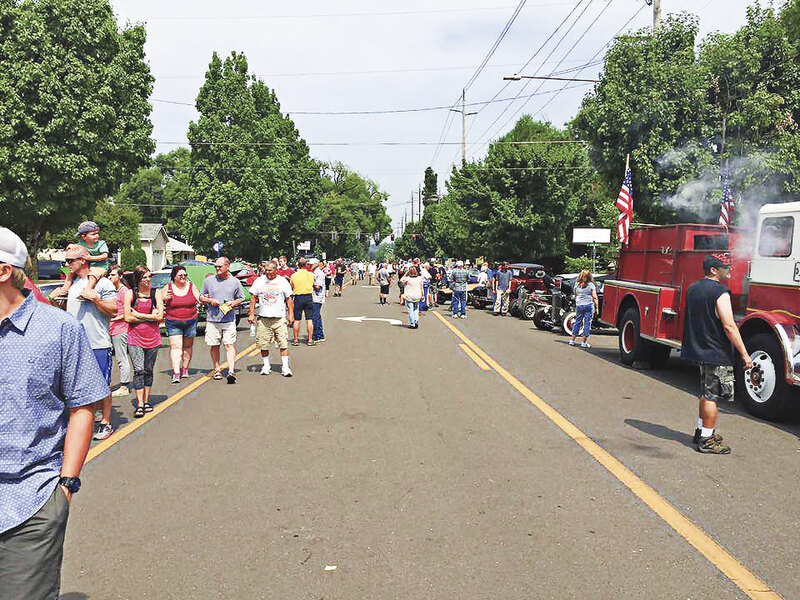 A special note of recognition to the local Gladstone Police and Fire Departments for their courteous handling of the large crowd on hand and the friendship and good will extended by all at the 2017 Gladstone Festival Car Show. 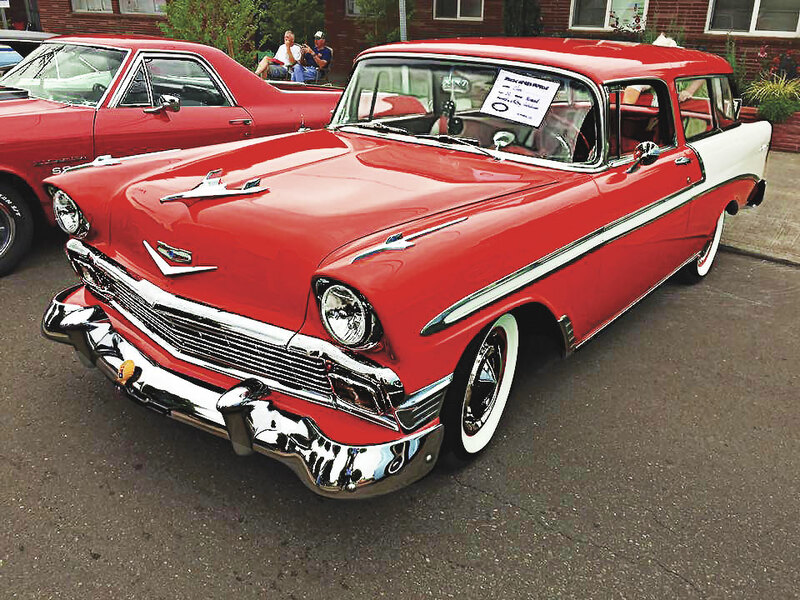 We at R&R NW Publication would also like to thank Juan and Judy Ruiz, from Affordable Classics Inc. for their assistants in putting this story copy together for the car show. The Future of Motorcar Racing? 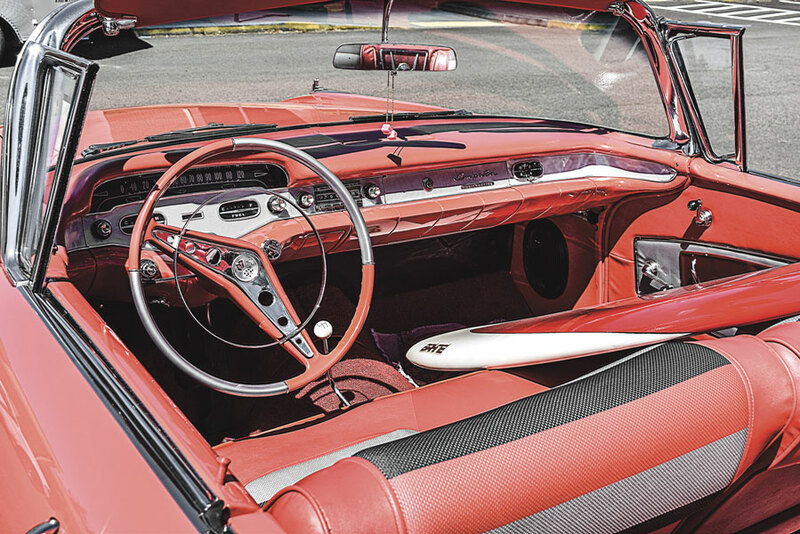 Gearheads, we have been devoting quite a few columns to emerging technology. That is because there is a lot going on in the automotive world and we need to remain aware of it – all of it. We have been focusing on autonomous vehicles (AVs) and electric vehicles (EVs). But there is plenty going on out there. Consider this engine… from what we know it is sort of half diesel and half gasoline, incorporating the best of both worlds – more power, more mileage. We won’t get into the stoichiometruc ratios here. For now, we will say that it is altered considerably inside the combustion chambers of this engine. Now, we know that Volvo has announced that they are electrifying their entire lineup. They have run into a slight hitch however with their AVs Down Under. It seems like the kangaroos are driving their algorithm bonkers. It just can’t seem to figure them out when they are out on the roads. Oh well, all in due time. Henrik Fisker is introducing their 2019 Fisker Emotion. It has a 400 mile range and can be recharged in 9 minutes. This rig includes a lot of bells and whistles. Next we have the Infiniti Prototype 9 EVwhich was introduced at Pebble Beach. Aston Martin is shooting for 100% hybrids. They intend to manufacture their own batteries and Motors as well. In other news we are hearing that Renault – Nissan is partnering with China. Mercedes-Benz has cancelled their next Gen 5 class convertible. Audi has cancelled their next-gen A5 and A8 but are coming out with an “E” A8. There is plenty more Gearheads but we have to end this at some point for this month. How about we leave you with this news from Autoline Daily — Corvette has closed their assembly line for 3 months. This could be for a number of reasons as most of us are aware of the rumors floating around about the Next-Gen Vette. But we will close with this, the latest numbers show that auto sales are down pretty much across the board worldwide. And that includes the sales of luxury cars to the wealthy. 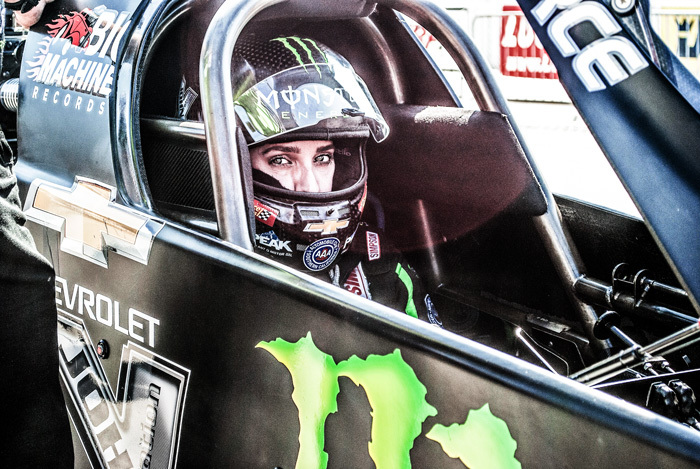 As a journalist that has spent time around a lot of different forms of racing, I thoroughly enjoyed my maiden voyage into the realm of drag racing. 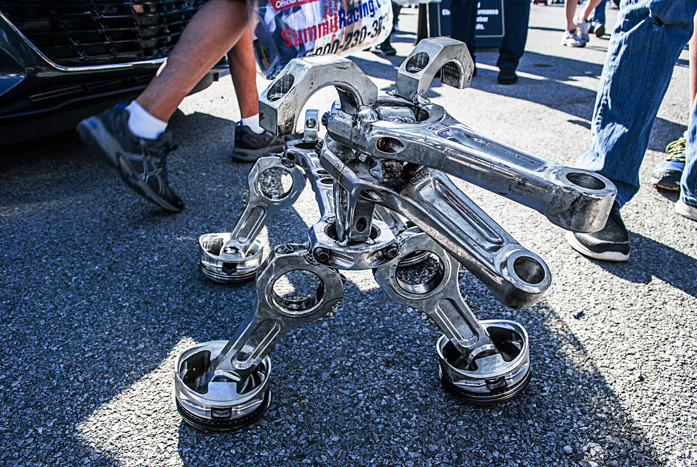 I would best describe the tone of the NHRA Drag Race Nationals as amusingly eccentric. The car/sponsor regalia is as loud as the cars themselves. The drivers openly make quips at each other during grid interviews and the announcers were at an impossibly high energy level all day long. No one takes themselves too seriously. That is not to the disservice to the drivers or crews who are focused and working really hard, or to the fans that are passionate about this form of the sport. I mean to describe the feeling in the air. This event was fun. All of the fans – and there were a lot of them – had smiles on their faces and truly enjoyed every minute. 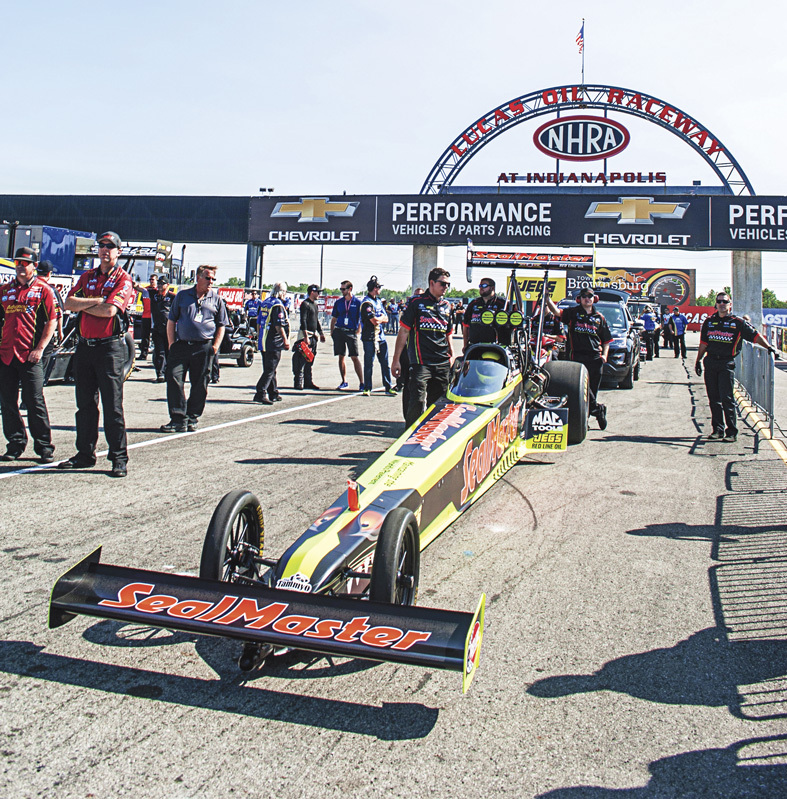 » The Mello Yello NHRA series includes a couple breeds of cars; Top Fuel, that are shaped long and skinny, and Funny Cars, that are shorter and are meant to resemble street cars. Both are considered the elite of the drag racing pyramid. » Top Fuel cars and Funny Cars produce an estimated 10,000 horsepower each — which is more than ten current NASCAR Cup cars combined. » Success is measured in absolute speed and how quick drivers can complete a ¼ of a mile. Both variations comfortably break 300 mph. » Top Fuel and Funny Cars burn nitro methane, at roughly 11 gallons per second and produce G forces similar to a space shuttle launch. Bright flames shoot out the sides of the car. It’s visually spectacular. » Lastly, and most importantly, always always always bring earplugs. The mere sound of the engines produce decibels so loud that they can only be measured on the Richter scale. That’s right, each run that these dragsters make are roughly equivalent to an earthquake. To further illustrate this point, my new drag racing friend told me to watch closely during the next drive by. About 100 yards from the racing surface, the unobstructed sound waves rattled his full beer cup about four inches across the metal table. I can see why people are hooked on this stuff. “You know how you know the real fans?” he drawled. (I shook my head) “The Nitro eyes.” Evidently, it is a common practice for the more committed enthusiasts to rush up to the pit entrances when the teams fire the cars up. They then stare deep down the fiery throats of the beasts, the breath from the engine ripping the caps off their heads. A bluey haze burps and engulfs the fans, burning the air they are breathing. As the engine is cut and the roar dies, everybody coughs until their brains retract from the edge of asphyxiation. I tried it once. It was not my favorite aspect of the sport. The true diehards go from tent to tent performing this ritual until their cheeks are blistered, facial hair scorched and matted, and their eyes are a (Mello) yellow color. There was a time when STP stickers were affixed to virtually every race car at my local speedway. The little red ovals were placed at the highest point on the vehicle- the uppermost corner of the airfoil. Almost every car had one so you couldn’t help but notice. 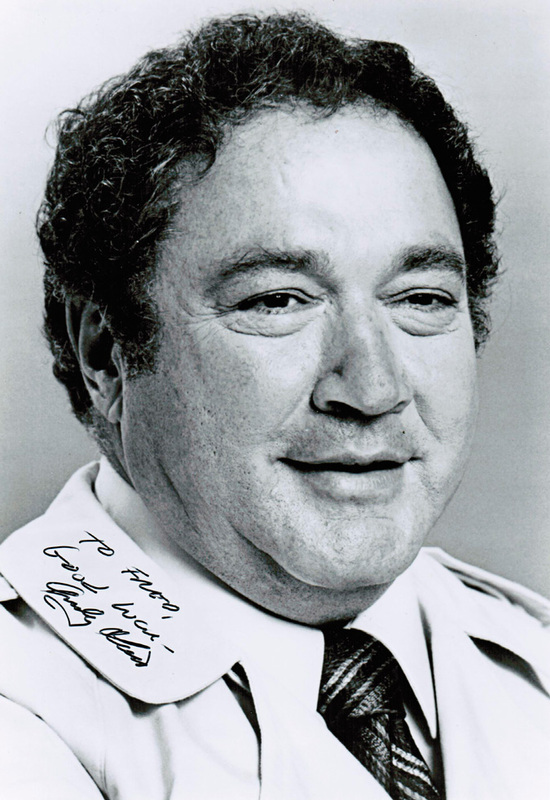 As an eleven-year-old fan, I didn’t understand the concept of a contingency program but STP marketing genius Andy Granatelli did. No, Granatelli didn’t own the company nor did he invent the product or design the logo. He was hired by the Studebaker Automobile Corporation to market their “Scientifically Treated Petroleum” and that’s precisely what he did. He refined their trademark logo and promptly had a gazillion stickers made. Then he embarked on a nationwide campaign to distribute those stickers and soon they were everywhere. It was estimated in 1968 that Granatelli gave away two million stickers a month. Twenty-four million stickers a year is a ton of exposure. The STP logo became arguably the most recognizable graphic in America through the 1960’s. After Granatelli put Richard Petty under contract, he himself was able to fade from the limelight. Though STP has been sold numerous times since Studebaker failed in 1966, Petty remains under contract to this day. 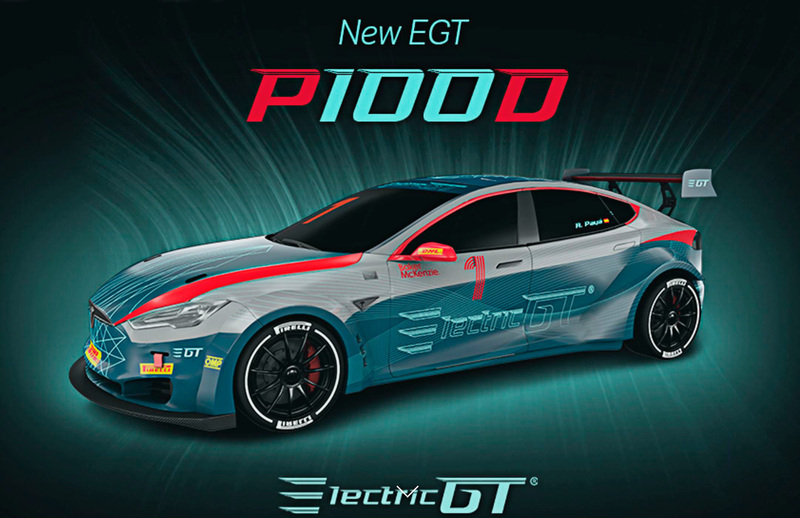 The original polymer product is no longer a top seller yet the STP logo is of such value that it is still used to market a variety of automotive products including battery chargers and octane booster. Granatelli was famous for marching down pit lane in a jacket emblazoned with corporate logos but he may have borrowed that idea from Dean Moon. Moon was a contemporary of Granatelli’s that had also emerged from the automotive aftermarket. He designed his first fuel block while he was still in high school. Spun aluminum oil tanks, foot shaped gas pedals and finally flat disc wheel covers followed. Putting eyeballs in the double o’s was a no brainer but the “Moon Eyes” logo really took off when Moon had a cartoonist from Disney revamp it. He may have owned a logo covered blazer first but his time on earth was short compared to Andy’s. 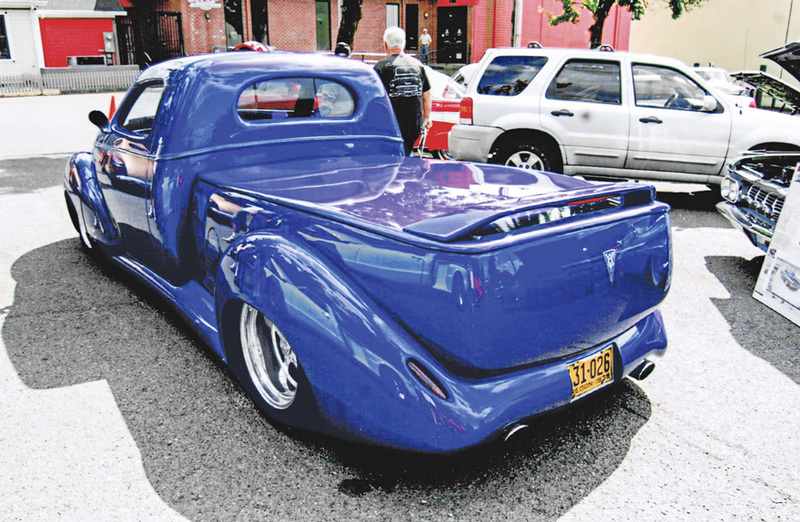 The company was sold to Japanese businessmen and remains relevant to hot rodders throughout the world. I displayed the Moon Eyes on my first performance car, a ’64 Austin Cooper- coincidently Moon’s first car was an Austin as well. Cigar chomping Clay Smith was an engine tuner from Southern California. 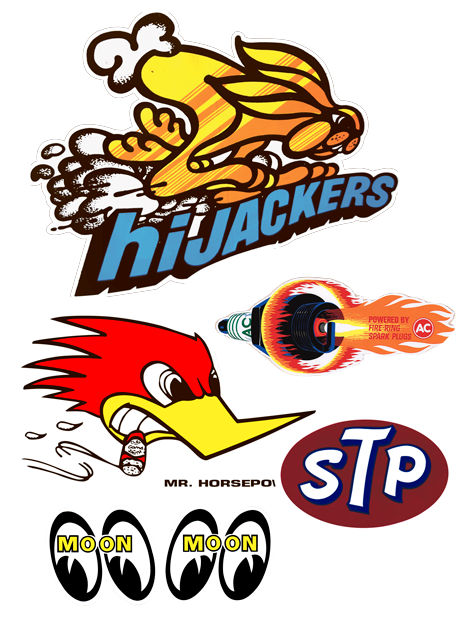 His contribution to racers was custom ground camshafts but his woodpecker logo had more duration. It was supposed to be a caricature of Smith himself though most would agree that it more closely resembles Walter Lantz’s Woody Woodpecker. Both characters appeared in the early 1940’s simultaneously and were allowed to coexist because the automotive aftermarket and the animation world are completely unrelated. Sadly, Smith was killed in a racetrack accident when he was only thirty-nine years old. The camshaft business lived on however, largely due to their iconic trademark. The menacing woodpecker has always represented racing to me. Miniature decals of it were highly sought after when I was a kid and I have worn embroidered patches of his likeness on every fire suit I’ve ever owned. Though Gabriel’s hijacker rabbit didn’t appear until 1967, he deserves to be in the same conversation as the Moon Eyes and Clay Smith Cams Woodpecker. Like the Chrysler Super Bee or Plymouth Duster from roughly the same period, he possesses that mod, 70’s aesthetic. To a racer my daughter’s age named Ariel Biggs, the hijacker rabbit represent racing. She has a fond memory of her father wearing a windbreaker with this logo embroidered on it. Whether they were working on their quarter midget, heading to the track or celebrating at a pizza parlor afterwards, the hijacker rabbit was always part of her racing experience. My final choice is purely subjective. It was not an image from my personal racing past. In fact, I don’t know that I ever saw this sticker on any one’s race car. 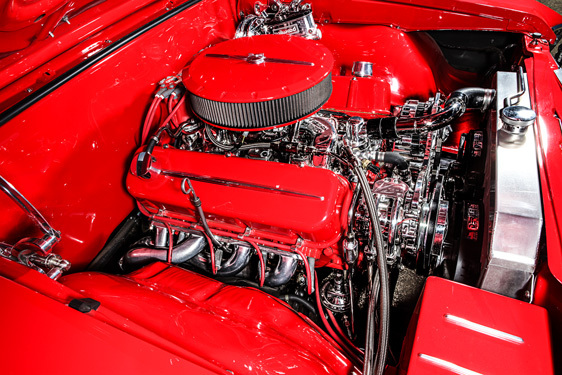 AC spark plugs have been around as long as cars themselves. They’ve always been more of a passenger car brand than a performance brand. Unlike STP, the AC logo has changed over the years yet no variation of it has been particularly memorable… but the “Fire-Ring” variation is spectacular! It is six colors for one thing and a very complicated die cut for another. Those features combined make it the most expensive sticker to produce in this offering. And the cost explains why comparatively few of the AC Fire-Ring stickers are still around today. 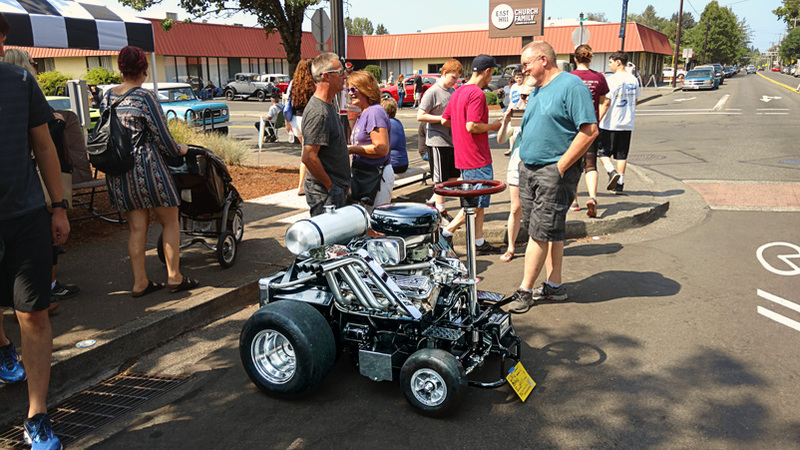 Have you ever seen a car at a car show that you wished you could own? OK, that was probably a really dumb question. 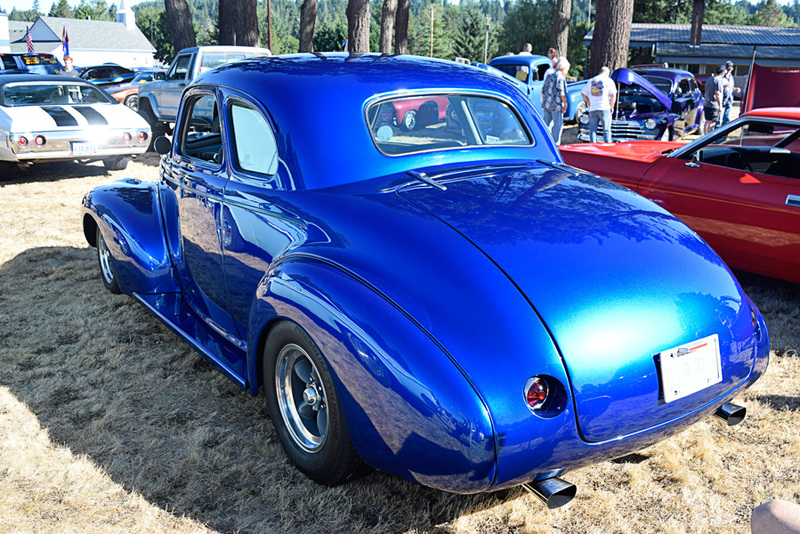 Pondering how we could own a car that has caught our eye at an event is likely a common practice with car enthusiast. 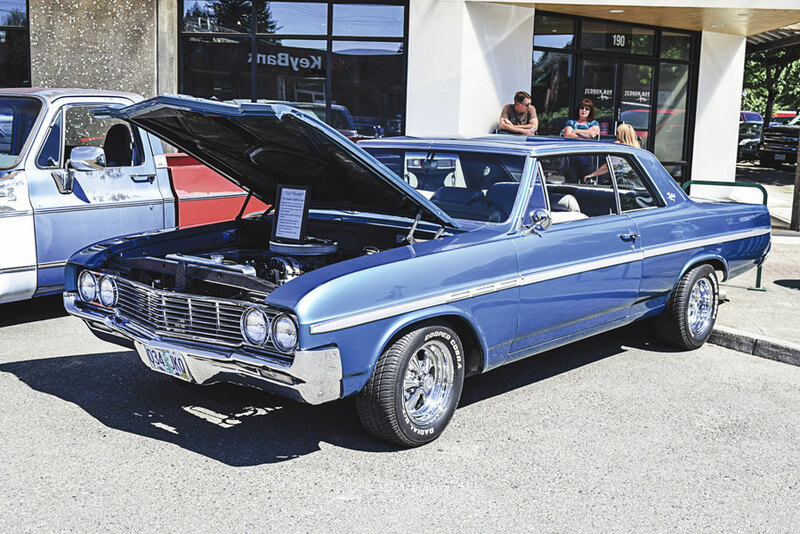 In the case of Bert Oberland who spotted this 67 Chevelle at a car show back in the year 2000, it was a happy ending as he was actually able to purchase the car. The Chevelle was in really nice condition Bert recalls, and was powered by a 1967 Corvette 427 backed by a Muncie 4 speed. 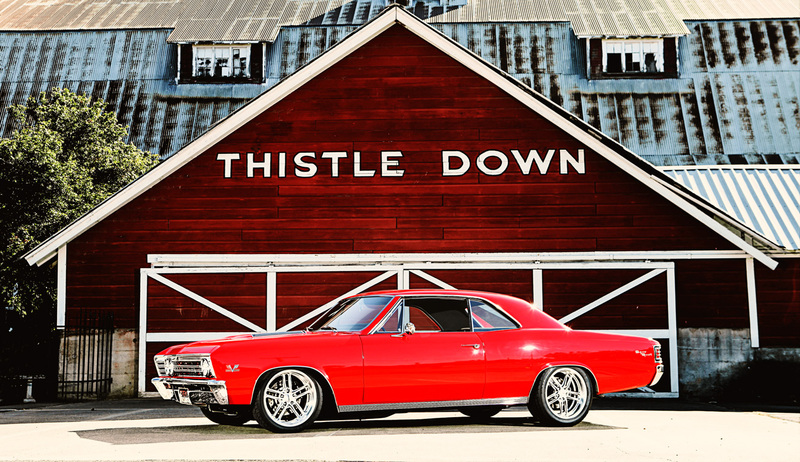 Bert upgraded the Muncie to a TREMEC 5 speed which really changed the performance of the Chevelle. 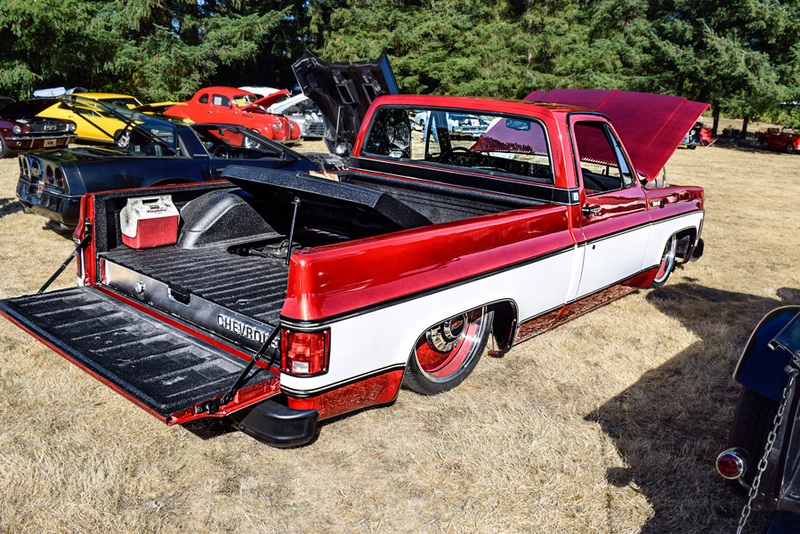 The next step on the 67 was a new coat of paint and to freshen the bright work, so Bert turned to the team a MetalWorks in Eugene, Oregon. 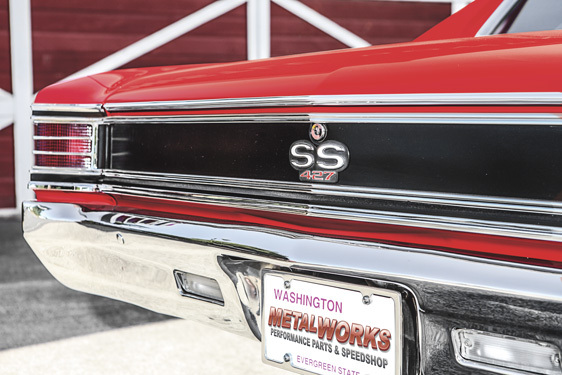 The team at MetalWorks stripped the paint inside and out and discovered an ultra solid body that was then massaged to perfection in body shop, and shot in coats of what we’ll refer to as “MetalWorks Red” paint. 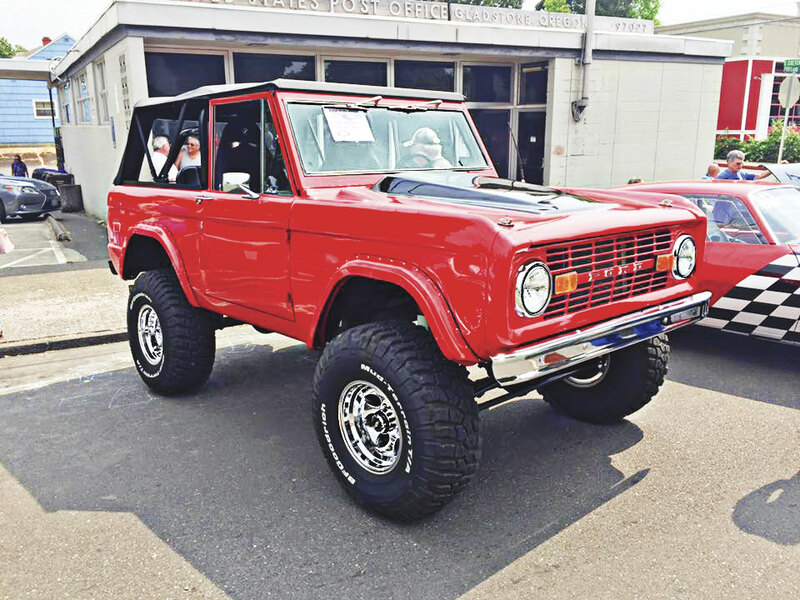 The 67’s suspension was upgraded to HEIDTS both front and rear, and Budnik wheels with Wilwood disc brakes were set on all 4 corners. 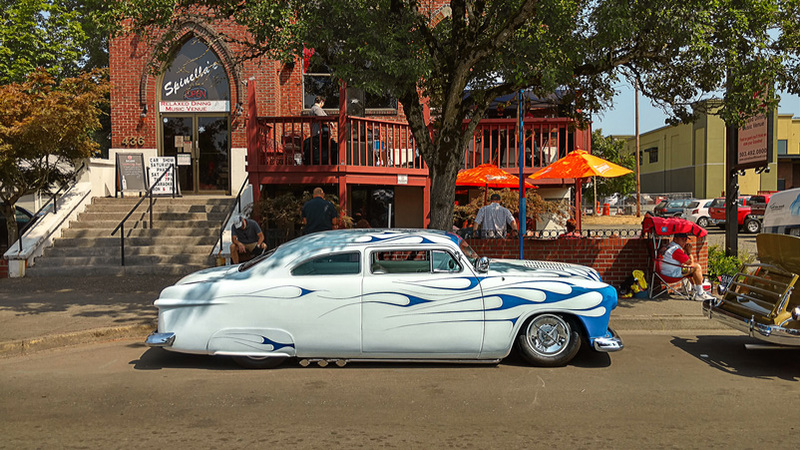 The finished product was spotted by photographer Chris Shelton at the Spokane Goodguys show and ended up on the cover of Chevy High Performance magazine. 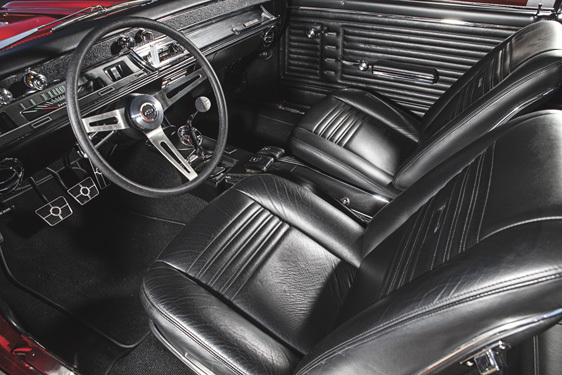 Bert still shows the 67 Chevelle sparingly, and drives it when the mood is right. Due to having a few other cars in his collection Bert has opted to have the guys at MetalWorks upgrade it to Holley fuel injection so it will not be affected by periods of sitting idle. No doubt the EFI upgrade will only take an amazing driving experience and make it even more incredible for many more years to come. 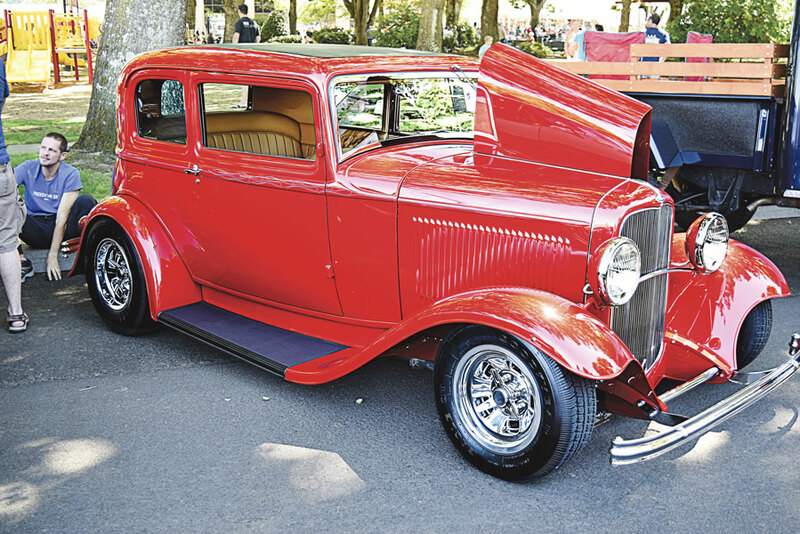 A sure sign that summer is coming to an end is the Oregon Festival of Cars, held each September in Bend, Oregon. Broken Top Club’s driving range is the venue and is a perfect setting. This is a weekend event which starts Friday morning with an optional tour which leaves Ron Tonkin’s Gran Turismo in Wilsonville. With a leasurely drive through country roads, it takes a different route every year. It ends at a car wash in Bachlor Village with all the beer and wash supplies provided, the labor is on you. 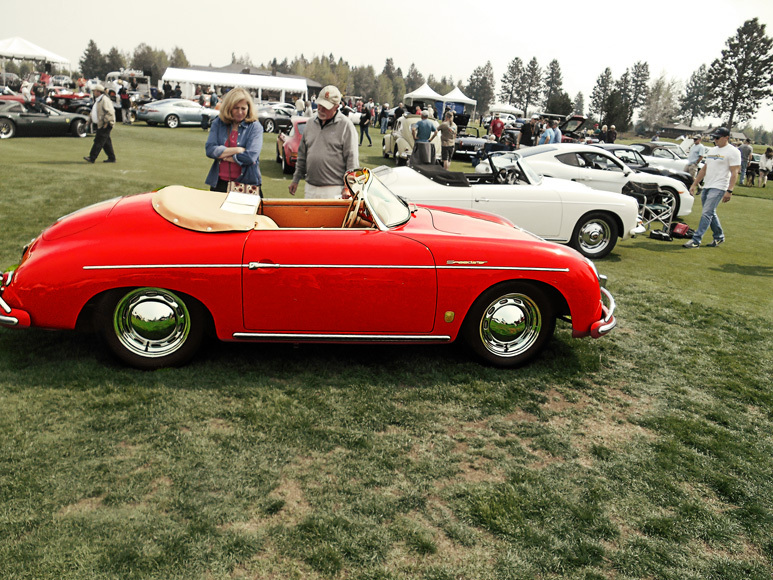 Later everyone meets in the showroon of Kendall Porsche for dinner, drinks and conversation. 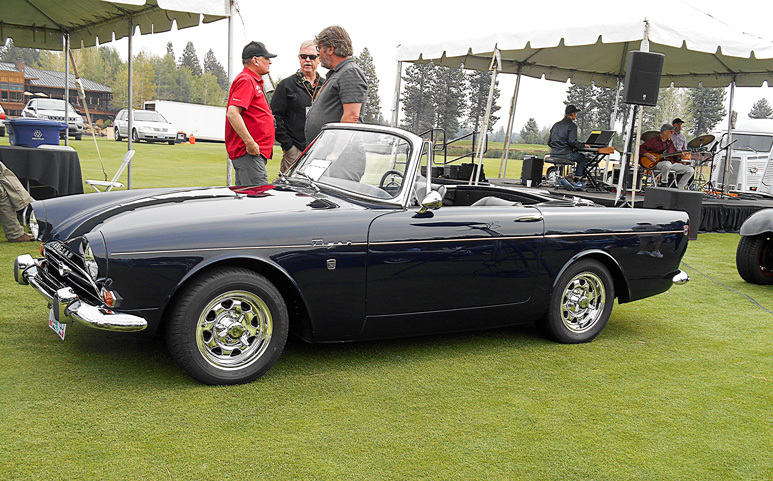 Saturday morning starts with the placement of cars on the driving range with public viewing beginning at 10:00 a.m. 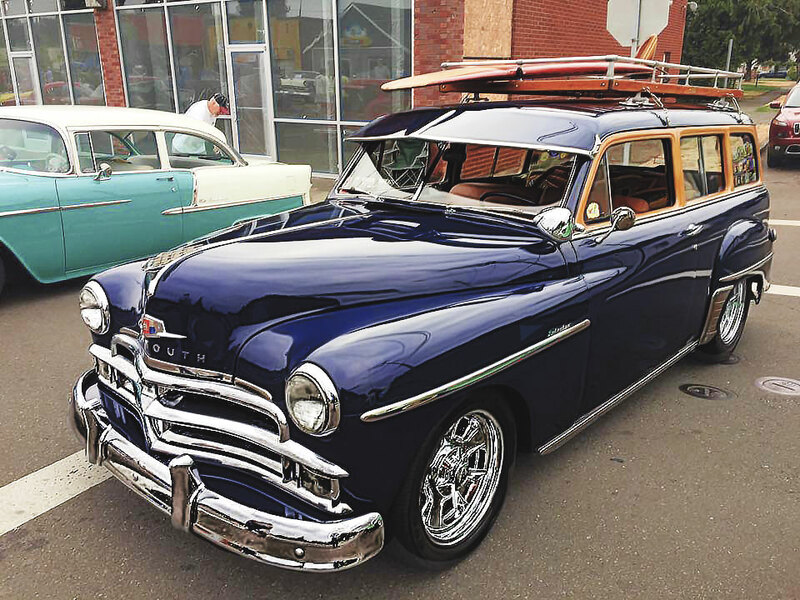 The variety of cars is one of the many things I enjoy about this show, with everything from hot rods, customs, classics and muscle cars, to sports cars and classics. 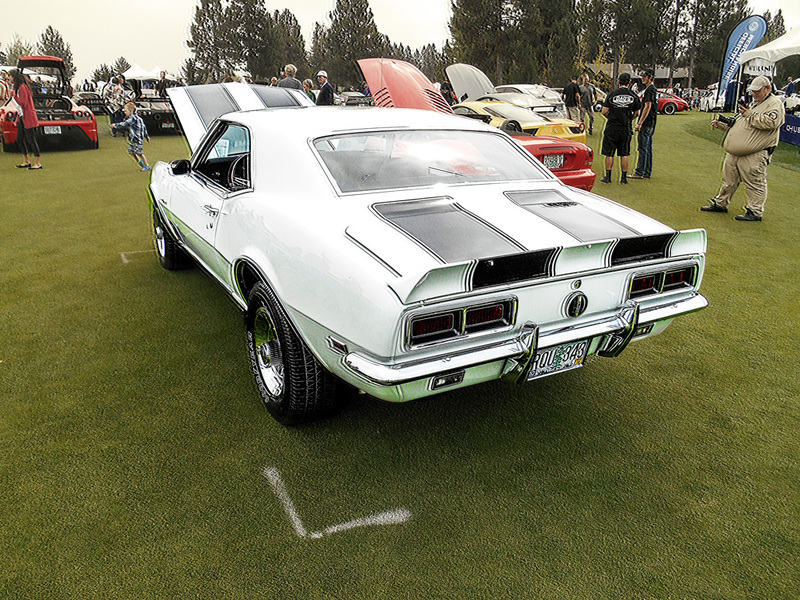 This year the featured cars were Badass Cars, and there was a wide variety to choose from. After the show there is a banquet for participants to close things out. Sunday for those left standing they can choose to participate in a tour which ends with lunch. If you find yourself in Bend the middle of September this is a must see. 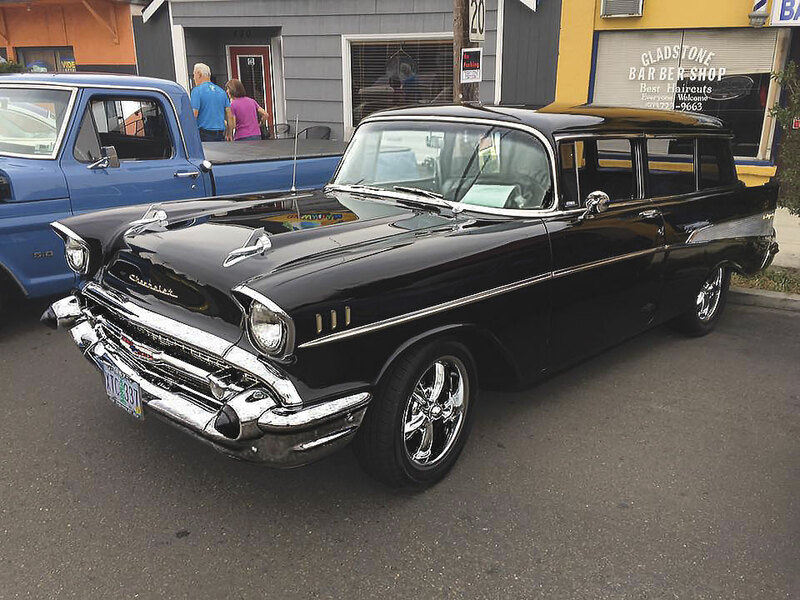 If you weren’t at the Northwest Motorsports Associations Rockin Around the Block cruise last month, you missed a big one. 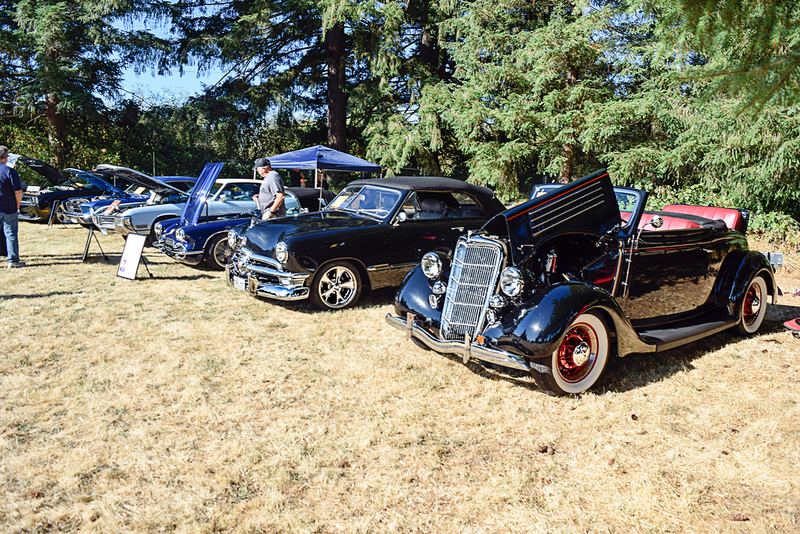 Hundreds of cars showed up for this day long event that benefits scholarships for the automotive program at Mount Hood Community College. Rockin’ Ron Rudy and his band supplied the street dance as Hot Rods and cool cars filled in the entire Gresham downtown area. 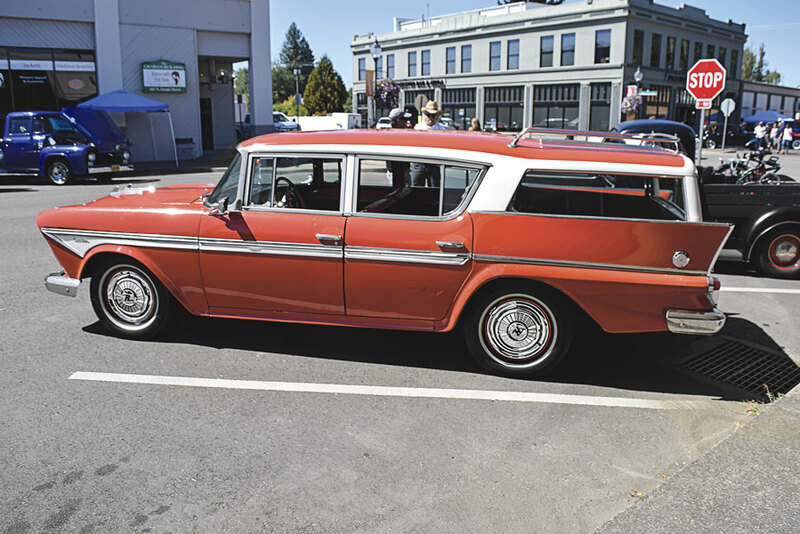 The event then wrapped with the cruise of Main Street. Jerry Lyons of MHCC was this year’s chairperson of the event. At the last NWMA staff meeting he reported that the entire MHCC staff very pleased with the success of the event. This year’s contribution to the Scholarship Fund will be signifcant, adding to considerable contributions from prior years. NWMA has plenty to be proud of. This year’s event was the most successful of many years. 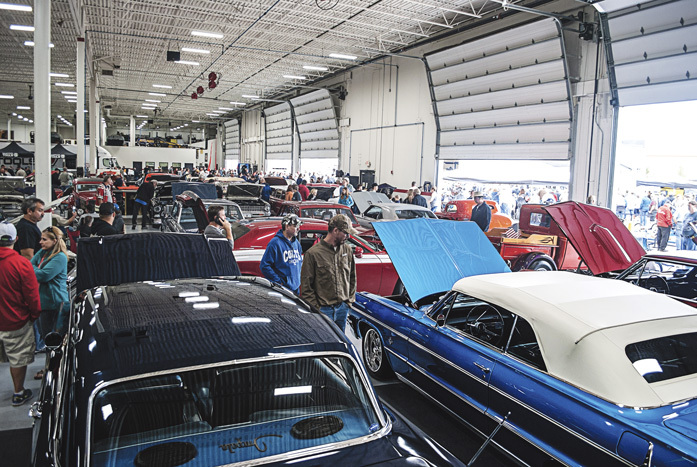 GearHeads: you might want to leave room in your calendars for next year’s 20th. Annual event. 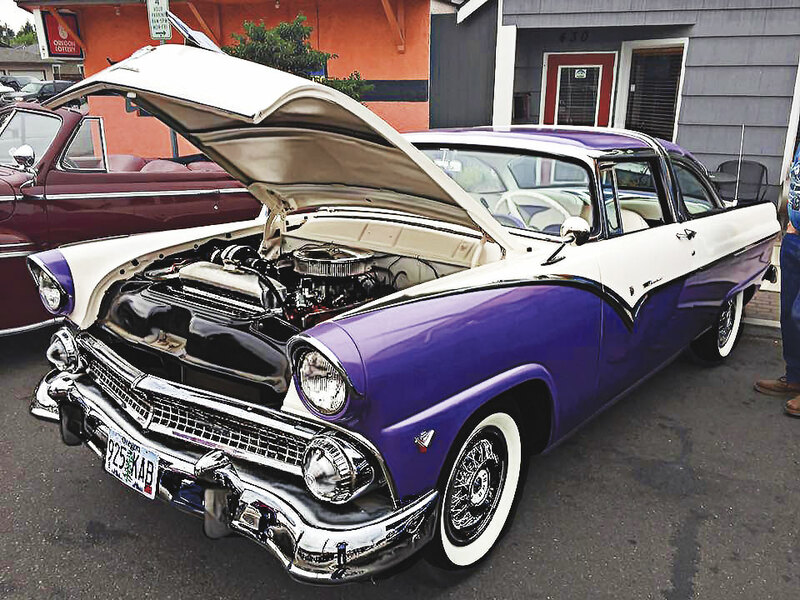 As the Cruise-In season winds down nearly every weekend you could find sometimes as many as a dozen different events to choose from throughout the Northwest. Some small, some not so small but all fun just the same. I’ve tried to get out to as many as I could over time and this year I’ve tried to make it to some of the repeat events that I just couldn’t visit in past years. 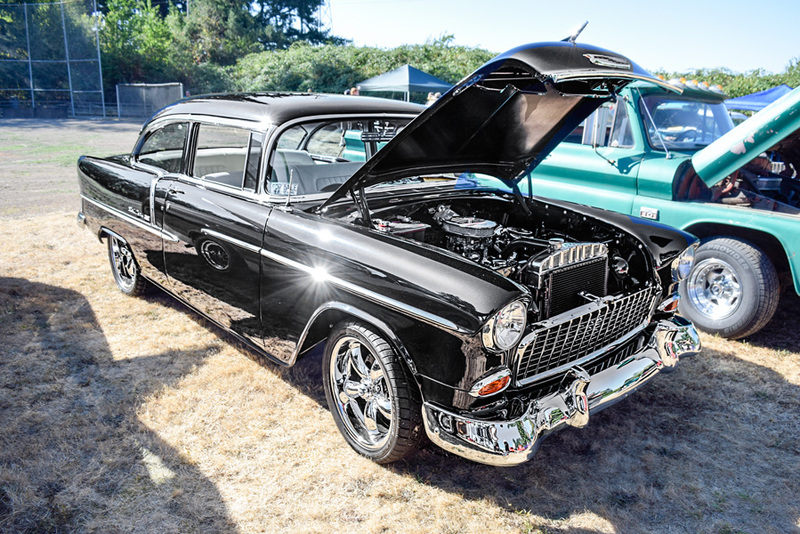 One such event is the Cruise to the Barton Church in Barton Oregon. Barton is a very small former stop on the Barlow Trail which dates back to the Oregon Trail times from the wagon train era. The church there hosts a small cruise in annually and it gets a pretty good turnout usually. I’m always glad when I go to a cruise-in and get to see cars that I’ve not seen before. This cruise didn’t disappoint in that regard.